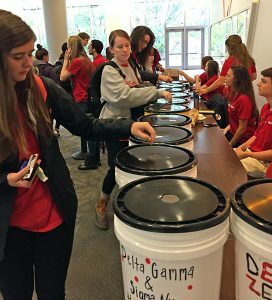 Some NC State University students celebrated Homecoming this year by raising thousands of dollars to benefit NCSU Libraries. The Alumni Association Student Ambassador Program and the Student Philanthropy Committee hosted a Homecoming week “penny war,” during which 13 spirit teams from across campus competed to raise the most money — primarily in the form of loose change — to support the libraries. 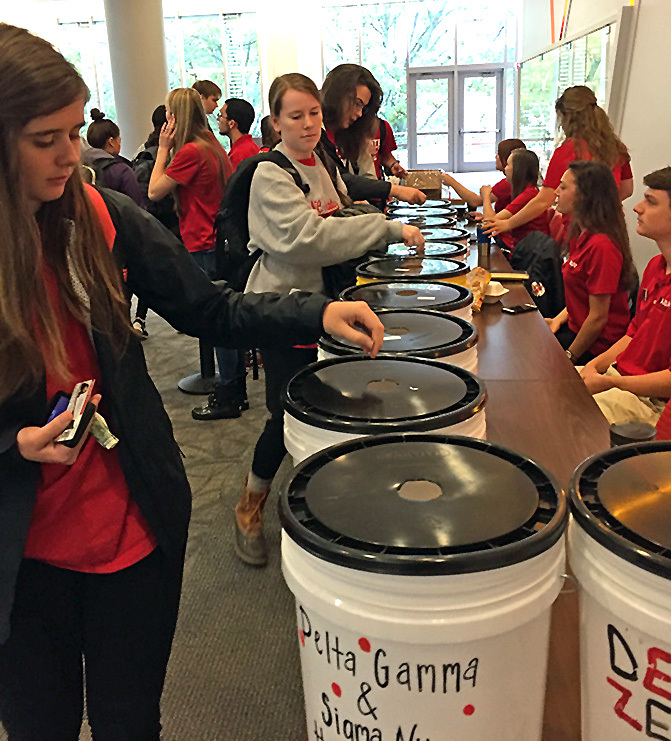 A student-led philanthropic event during Homecoming benefited NCSU Libraries. 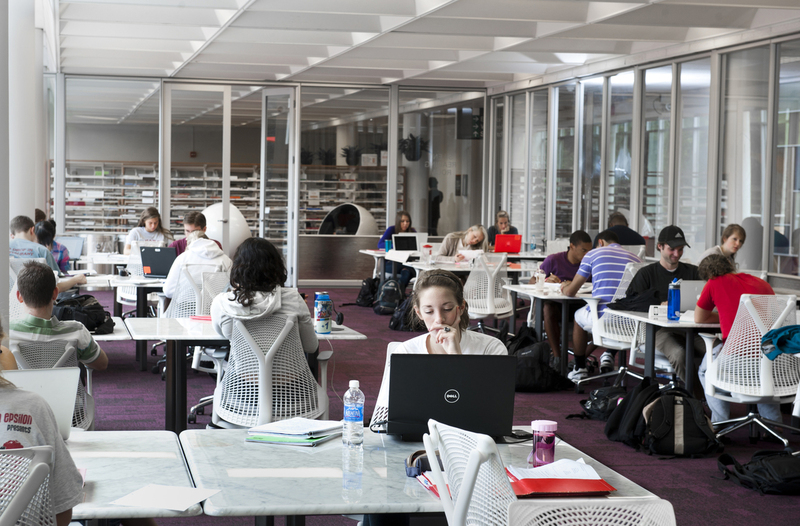 The university’s libraries have a broad reach on campus — providing services for students, faculty and staff in every college and program. That fact was paramount in the decision to direct proceeds to the libraries, according to Olivia Shipp, who chairs the Homecoming Service Committee for the Alumni Association Student Ambassador Program. “All students are allowed to utilize the libraries, so by choosing to support them, we are able to support the entire student body and not just a selected portion,” she said. Shipp wasn’t sure what to expect but said she was thrilled with the outcome of the initiative, which was held during the last week of October. Students raised nearly $2,160 in support of the libraries. Wilson White, a Friends of the Library Board of Directors member who received a bachelor’s degree in computer engineering from NC State in 2003, more than doubled the students’ impact by providing an additional gift of $2,340-plus — bringing the total amount raised to $4,500. “I was excited to hear about the student-led penny war initiative. The great work of our libraries is a critical component of an NC State education,” said White, who was a Park Scholar at the university. I am both proud of our students’ commitment to their education and honored to join them in giving back as an alumnus. The spirit team composed of Sigma Nu and Delta Gamma raised the most money during the initiative. But the real winners are the libraries and those who patronize them. In addition to raising money for the libraries, the fundraiser also provided an opportunity to teach students about the importance of philanthropy. The penny war will become an annual Homecoming event. Shipp said she hopes students will be encouraged to participate in other philanthropic events, benefiting both NC State and the entire community.